Economic activities are constantly on rise in UAE, especially in Dubai, throughout the year since past several decades. It is the main factor behind the economic prosperity of the country and the arrival of large number of foreigners as entrepreneurs, job seekers and tourists. Different exhibitions, events and shows are held almost every month of year that plays important role for accelerating economic growth in Dubai and around the UAE. Due to its place as among one of the world’s most favored places for business, Dubai has achieved the position to host several international trade and business events. Such international events attract entrepreneurs and other interested ones from around the globe and they are also responsible for producing immense business and job opportunities for masses. One such huge international event is coming to Dubai in couple of years – Expo 2020. The preparations for this universal exposition are underway since it’s been awarded in 2013. 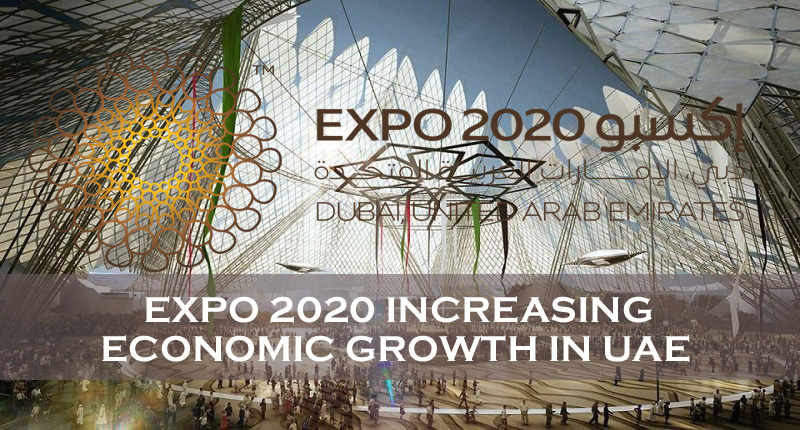 Around 130 countries have already announced their participation in the Expo 2020 which clearly reveals the scope of this international expo for the economic growth of the country. These world expos are held in order to showcase achievements of the host nation. Dubai is trying its best to make full use of this opportunity. The construction work on the southern part of Dubai (Dubai South district), the place designated for the Expo 2020, is underway with full pace and force. Lot of work has already been done but there is lot more that will be followed in the next two and a half years. According to reports, the construction projects related to Expo 2020 have reached $42.5 billion by the end of March 2018. All these projects are expected to complete before the start of Expo 2020 in October same year. It means the work will gain speed and momentum in the coming years that will surely create lots of job opportunities for workers and specialists from around the world. The expo will remain continue for next six months (till April 2021) and it will provide number of job and business opportunities as well. There are reports that around 575,000 new real estate units are expected to enter the market before the start of Expo 2020. This is really exciting news for entrepreneurs and professionals from around the world as they have their best chance in Dubai before October 2020. Therefore, it is wise to decide immediately about start any business related to the work in progress in Dubai. We can provide you complete assistance as far as visa services and trade license in Dubai are concerned. 2020 Expo is one of the fantastic and international event in Dubai. Thanks for useful info!